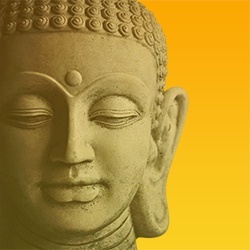 On Sunday, May 3rd, Claremont School of Theology (CST) hosted Buddha Jayanti 2015 – a celebration of the Buddha’s birthday organized by the Indic Foundation and the Buddhist Society of California. As part of the celebration, a signing ceremony was held for a new shared vision statement between CST and the Indic Foundation, the Center for Sikh Studies and the Center for Jain Studies. The signed statement acknowledges the first steps towards the establishment of a future Center for South Asian Religious Traditions, which may one day be housed on the CST campus. President Jeffrey Kuan signed the vision statement on behalf of CST. Dr. Deepak Shimkhada, Sushma Lal and Jamie Mills added their signatures on behalf of the Center for Hindu Studies. The Center for Jain Studies was represented by Dr. Nitin Shah, Virendra Shah and Rajesh Shah. Mr. Gurdishpal Singh added a signature on behalf of the Center for Sikh Studies. Since its founding as a United Methodist School of Theology in 1956, CST has sought out ecumenical and interreligious collaboration with other schools and institutions. CST presently hosts a Center for Lutheran Studies, Bloy House, the Episcopal School at Claremont on its campus, and Bayan Claremont, an Islamic graduate school. Cross-registration agreements exist between CST, Bloy House, Bayan Claremont, the Academy for Jewish Religion, California, and the University of the West, a Buddhist university. CST also enjoys a close institutional relationship with the Disciples Seminary Foundation, located across Foothill Boulevard from the CST campus. These agreements allow students to learn side-by-side with peers from differing religious traditions in preparation to serve a world that is increasingly religiously pluralistic.